The Ariat Grasmere H2O Boots are like your best friend – supportive, stylish and comfortable – which is why riders across the globe have been choosing them for so many years. "Ive had grasmeres for the last 7 years now. I use them for eveything, riding, on the yard, going for dog walks (including on the beach), and they are by far the comfiest and most hard wearing boots i've ever had. 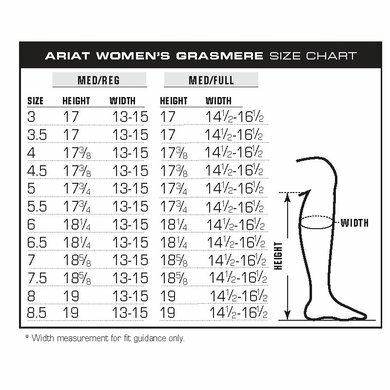 I would say they come up true to size, other Ariat's i have had have come up a little generous, but in these I am my normal size. In the 7 years ive had them I have had two pairs, and I would still be on my first pair but this darker chocolate colour came out and I liked them so I treated myself to a new pair, and donated my perfectly good old pair to a friend. I would definitely recommend these!" "so comfortable like putting your foot into a cloud"